Part of the stories that I get to experience comes right from my students. I get offered suggestions for films, comics, and television shows all the time. And I try to do a decent job of watching or reading those suggestions. I dig that my students feel comfortable sharing with me, so I want to imbibe the media and have a conversation about it when I can. This week, with the exception of Wednesday (NCBD) and Sunday (Sunday’s For Teachers), I will be reviewing comics that this semester’s students have given me to read. Today’s title is one that I would recommend to any teacher looking to teach with comics/graphic novels or any person looking to break into the genre as a creator. 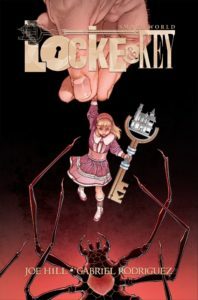 This initial story was published by IDW as a one-shot single-issue, expanding the world of the smash series Locke & Key; however, the hardcover version that hit the shelves in 2017 is much more than a single-issue comic book. The book contains the original story from the issue, but it is followed by a conversation with Joe Hill and Gabriel Rodriguez, a cover gallery, a note from Joe Hill about his “script to page process,” 18 handwritten pages of the initial script, pages of the typed script, initial page drawings from Gabriel Rodriguez, and more notes. This hardcover treat is a straight-up lesson in comics construction. Seeing Hill’s notes and edits on his initial script hammers home the process of it all. Its good for us, and our students to see that the process is work, even for the most skilled. The rest is a solid example of the entire process. When my students ask about the process of making comics, I will start by showing them this book. I am getting a class set in the near future. I had no idea that this version of the story existed. 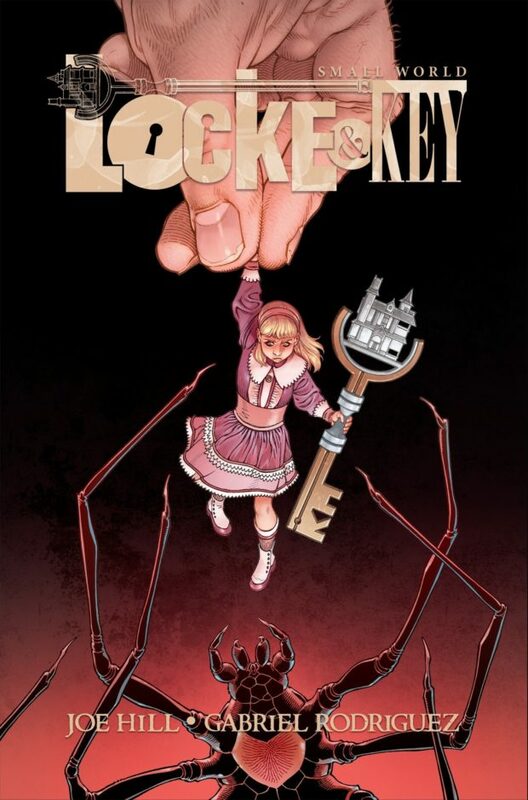 It’s a blessing that I turned my students on to the Locke & Key series, and that they have expanded their love to search out more from Hill and Rodriguez. This sharing of art and media is a prime example of what can happen when we share our passions and are open to having student passions shared with us. Great experience. Great book. Teachers of the medium need this one. Come back tomorrow for New Comic Book Day reviews from my students!